Ash to Art auction raised £706,438 towards the Mackintosh Campus Appeal. 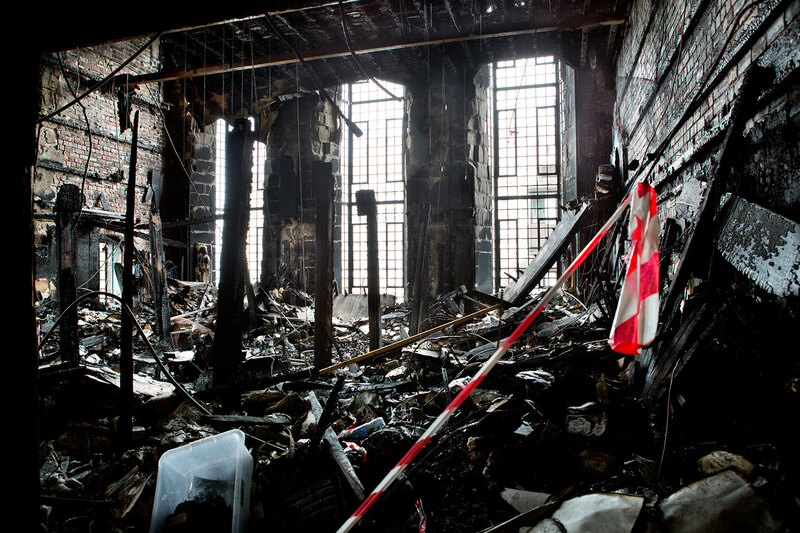 The Glasgow School of Art fire of 23rd May 2014 was a devastating blow both to a renowned institution, and to the wider artistic community, destroying hundreds of pieces of student art, and ravaging a landmark of 20th century architecture. The fire broke out as students were preparing for their degree show in the basement of the Charles Rennie Mackintosh building. Within minutes, flames had travelled up original ventilation ducts, to one of the world’s most revered Art Nouveau interiors, the iconic Mackintosh Library. 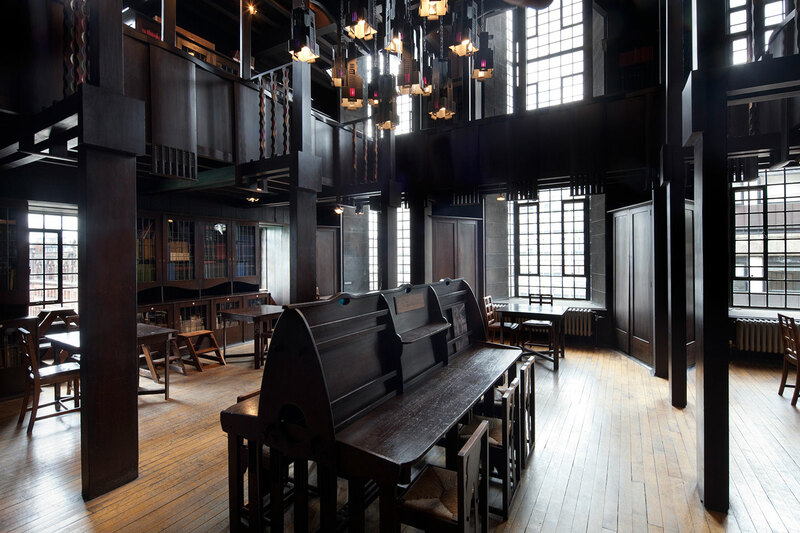 Home to countless rare and archival books and materials, the Mackintosh Library was reduced to a blackened shell. Tragically, the original fittings and furniture – unique and integral elements of the space - became a mass of charred wood.